We provide anchor point testing and certification service for any type of safety system. All anchor point safety systems must be tested and given certification after stating that each anchor has been load tested within a 12month period. 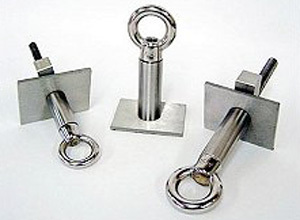 Industrial Rope anchor points need to be load tested and certified every 12 months. Inspection and load testing for failed anchor are also required. We have specialized equipment that analyzes each individual safety anchor as part of the anchor point testing procedure, which is the key for quality assurance. Advanced Solutions Group’s Team provides a FREE full safety audit and provide the inspection report outing system requirements and systems in compliance with Australian Standards AS/NZ 1891 and AS/NZ 4488. Please click here to visit our web site for more information on height safety.